Busy Knoxville | Just Shooting Memories! I was working my way around Neyland Stadium one evening and made my way to the top of one of the parking garages. The stadium was completely lit, but there was not a football game. 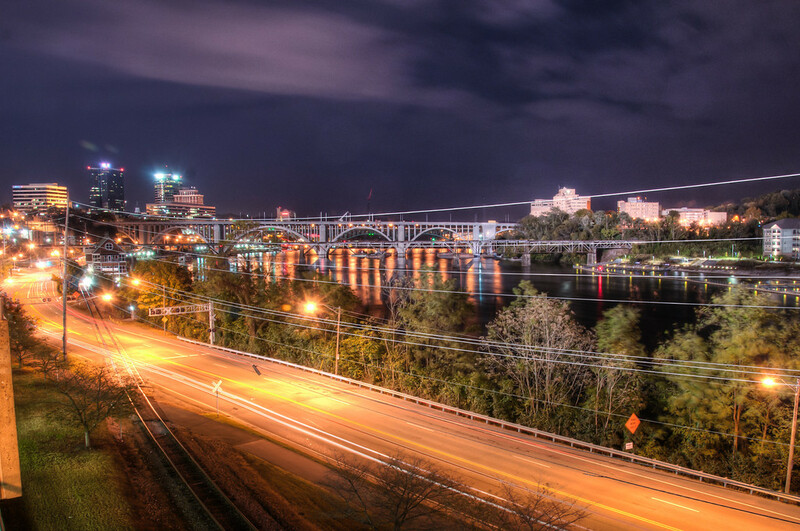 I never found out why, but I did get this shot of Neyland Drive along the river.